If more people used Instagram like this guy does, I think I'd check my feed every day. Capturing people and their essence using images is a challenging way to work, but this guy's got it down. "My work is about people, mostly. It's about how people live … and how people live in their environment. 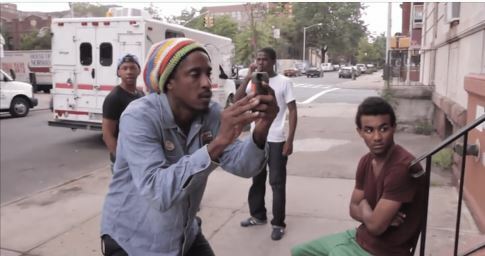 I'm Ruddy Roye, and I'm a photographer living in Brooklyn. A picture for me starts with either a person or a place. If I find a place, I usually stop and wait for the person to come into the picture. If I see a person, I look for whatever texture I can use to embellish the picture. For me, the story begins with what's current, what's in the news." Almost 120,000 Instagram followers later, people are noticing.